Osh State University was founded on 24 May 1951 as Osh State Pedagogical Institute. 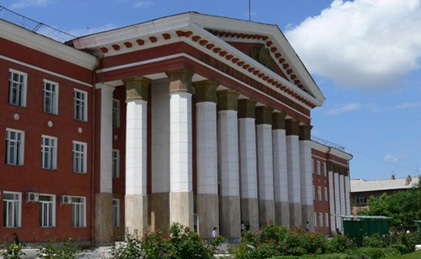 It achieved status of the University on 17 June 1992.The city of Osh provides a unique setting for the urban campus of OshSU. At the heart of this picturesque city lies the OshSU administrative campus, with the remaining departments located throughout the city. OshSU is the leading educational, cultural and scientific center of southern Kyrgyzstan. The faculties of the University prepare specialists to respond to all the region's needs. The University sows the seeds of science and democracy that will bloom throughout the country. Medical faculty, Osh State University has been training foreign students since 1993. During the years of its existence Medical faculty, Osh State University has trained foreign students from more than twenty countries. At present more than 3500 students are studying at Medical faculty, Osh state university including more than thousand students from other countries like India, Pakistan, Nepal, Palestine, Syria, Turkey, Bangladesh, United States, United Kingdom, Maldives and other countries. Medium of instruction has been English for foreign students and Russian for local students. Foreign Students have a choice to study in English medium or Russian medium. Medical faculty, Osh State University is listed with Education Commission for Foreign Medical Graduates, USA (ECFMG) FAIMER International Medical Education Directory IMED. This gives right, Students and graduates to take USMLE and continue Postgraduate education or work in America. Medical faculty, Osh State University has hired foreign teachers along with local faculty members to teach foreign students in English medium more conveniently. Teachers are highly qualified and very experienced. 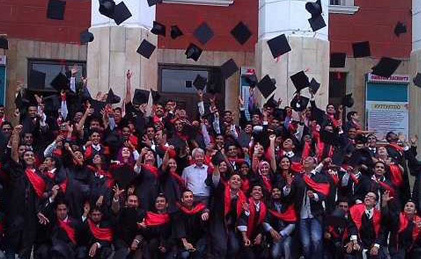 Most of them are either Doctor of Medical Sciences or Candidate of Medical Sciences (PhD). At present the physicians with Osh State University degrees are working in different countries of Asia, Africa, Europe and America. It shows wide recognition of the Medical faculty, Osh State University all over the world. High qualifications of its graduates are connected with the brilliant constellation of scientists who worked at the Medical faculty, Osh State University. All clinical hospitals are equipped with modern facilities to train students at a higher scientific and professional level. In particular, all types of diagnostics, Thermovision, Angiography, Endoscopic technique, PET, ECG, EEG, CT-Scan, MRI, highly effective means of treatment by hyperbaric oxygenation, laser therapy, LASIK, medical ventilators, anesthetic machines, heart-lung machines, ECMO, dialysis machines modern efferent methods of de-toxication and many others are widely used here. Medical faculty, Osh state university has its own library with 61378 medical books and international scientific Journals. Medical faculty OshSU is known for maintaining the very high standards of academic honesty and institutional integrity. Medical faculty, Osh state university's students come from more than 20 different countries around the world. Campus offers a stimulating, multicultural atmosphere and an opportunity to meet and learn from students from diverse cultures and countries. In short, we believe that the Osh State University offers an exciting environment to students in this region. Students of the Medical faculty, Osh State University can have a rest in sports and health recreation camp on the picturesque Issyk-Kul Lake, at branches of the Faculty of extracurricular education, art and sports club or student's theatre. We invite you to study at the Medical faculty, Osh State University. We'll be glad to see you in our picturesque city. UPDATE: From September 2015 after the formation of International medical faculty Osh State University, Foreign students are studying at International medical faculty in English and local students are studying at Medical faculty Osh State University in Russian medium. Osh State University maintains an open door admissions policy and constantly strives to provide programs beneficial for students. Applicants are considered for admission without regard to race, religion or national origin. Osh State University welcomes application from foreign students. Medical Institute OshSU is strongly committed to increase opportunities for students, including through and individual consideration of each applicant during the admission process. Following programs are offered at International Medical Faculty, Osh State University. 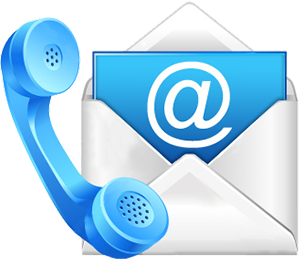 Admission requirements: Having passed higher secondary school certificate. Following programs are offered at Medical Faculty, Osh State University. Medium of Instruction: Russian or Kyrgyz Admission requirements: Having passed higher secondary school certificate. In accordance with its mission Medical Faculty, Osh State University is dedicated to pursuing the highest quality of patient care and graduate medical education. Medical Faculty, Osh State University recognizes as one of its major responsibilities the provision of organized educational programs. This responsibility includes guidance and supervision of the resident while facilitating the resident's professional and personal development and ensuring safe and appropriate care for patients. In fulfilling these responsibilities, the administrations, Hospital Boards, and Staff of Medical Faculty, Osh State University are committed to supporting quality graduate medical education programs and excellence in residency training and research. Furthermore, Medical Faculty, Osh State University commits itself to providing adequate funding of graduate medical education to ensure support of its faculty, residents, ancillary staff, facilities, and educational resources to achieve this important mission. Finally, Medical Faculty, Osh State University will ensure that all of its graduate medical education programs meet or exceed the Institutional and Program Requirements promulgated by the Accreditation Councils for Postgraduate Medical Education. Currently offering Specialization in following specialties and sub-specialties. English medium for Foreign Students. Medical faculty OshSU Follows the Euro – Russian curriculum of MD. Degree of MD (Doctor of Medicine) is awarded, a widely recognized and accepted degree all over the world as compared to MB or MBBS degree. Recognized and accredited by Ministry of Education & Science, Ministry of Public health KR, listed with Education Commission for Foreign Medical Graduates, United States (ECFMG)(FAIMER) International directory of medical schools, Our graduates may take USMLE, get registered as medical doctor and continue Postgraduate education in United States. Graduates of the Medical faculty OshSU are eligible to take Screening test by Medical Council of India, Pakistan Medical and Dental Council and other countries. Graduates are eligible to work in India, Pakistan, European Union, America, Japan and other countries. An affordable tuition fee as low as 2400 USD per year for 1st – 4th year and 2000 USD for 5th and final year. All the hospitals and clinics of Osh state are affiliated with Medical faculty OshSU. 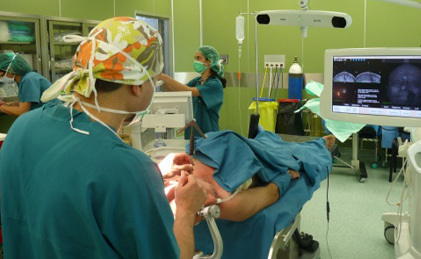 Hospitals are equipped with modern diagnostic and treatment facilities. Clinically focused curriculum with clinical rotations in hospitals starting from second year through final year. Possibility of Post graduation and PhD in wide range of specialties. Collaboration of the Medical faculty OshSU with a number of foreign universities, organizations in the field of research. Participation of students and teachers in international scientific conferences and short courses arranged by foreign partner universities. Wide choice of accommodation including University hostels, private hostels, private apartments at an affordable rent ranging from 20 USD to 50 USD per month. Osh – second biggest city of Kyrgyzstan, Southern capital, a beautiful mountainous city, located in the heart of historically famous Ferghana Valley. Osh – A modern city with an ancient background. A city with economical and affordable living conditions. Though due care is taken while preparing this chart there may be changes in the same from time to time depending on updates. Today Apply for a passport online today itself, save yourself from last minute rush. It is not too costly, but to be on safer side apply for a passport TODAY even if you are sure or hope or succeed to get admission in India.